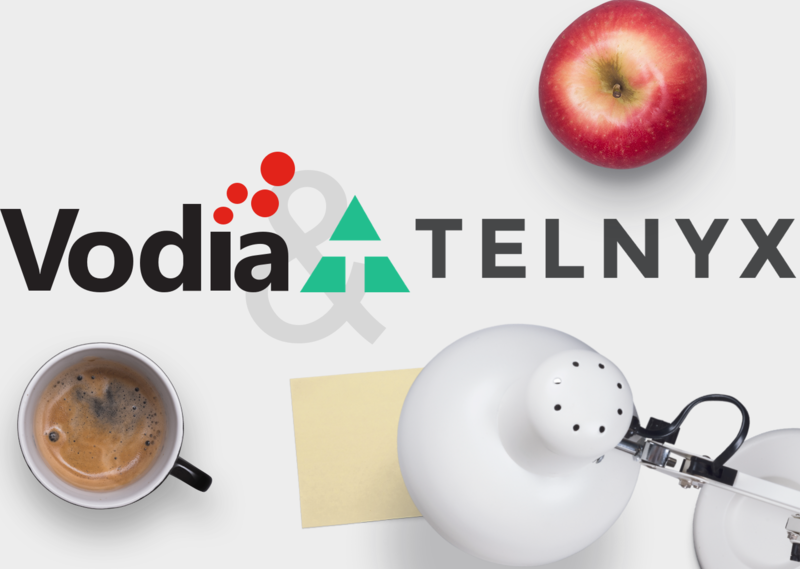 This article will provide you with a step-by-step guide for configuring your Vodia phone system with Telnyx phone service using Registration. The first thing we need to do is get you set up on the portal. Select "Credential" for your authentication Method and input a Username and Password of your choosing and is secure. 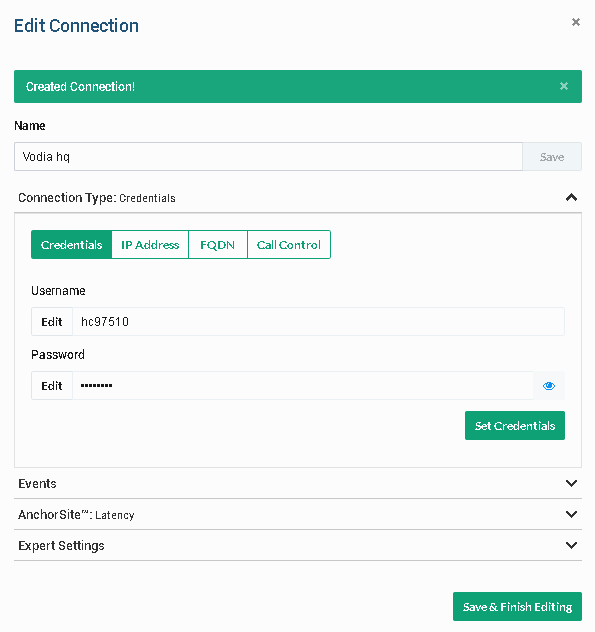 Note: You can also set up the connection with the external IP address of your Vodia PBX or the FQDN. Choose the "Traffic Type and "Service Plan" that meets your needs. You are no setup for outbound calling. 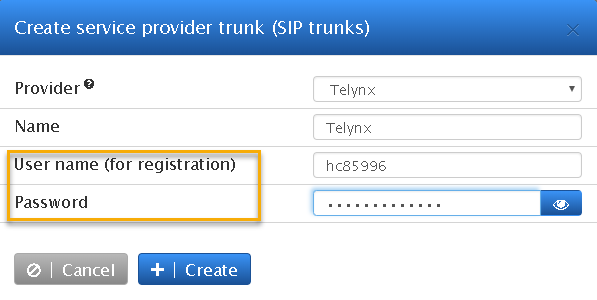 The Vodia PBX has the Telnyx template built in, so there's no need to enter the SIP outbound proxy and trunk headers configuration. Vodia automatically creates a dial plan for the domain so there's no need to create a dial plan unless you wanted to edit it. 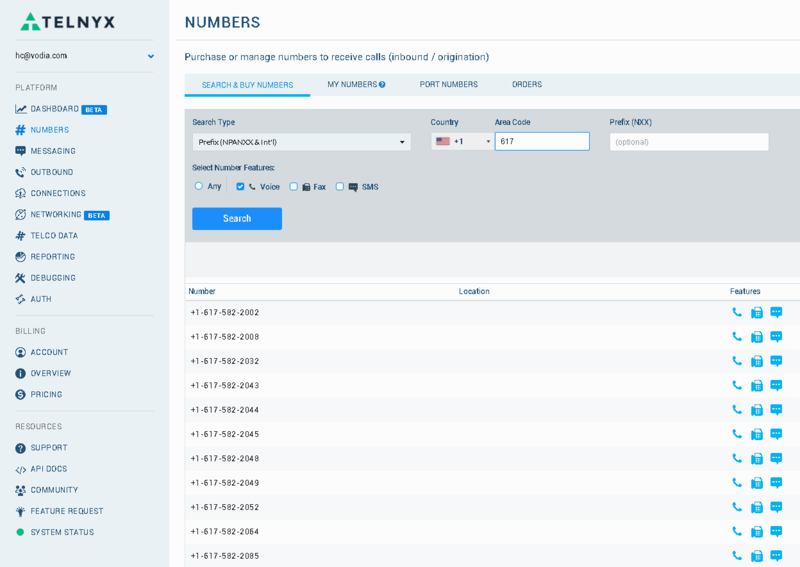 Navigate to your registered Telynx trunk, and scroll down to set the incoming call under "Routing/Redirection"
Vodia supports the following inbound methods. For this exercise, we are going choose "Send all calls to a specific account" When you call into the system all calls will go the specified extension. 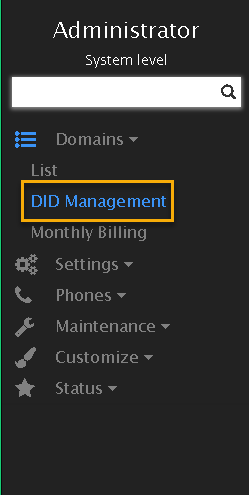 The DID management will help you configure multiple DIDs by assigning them to specific extensions the system. 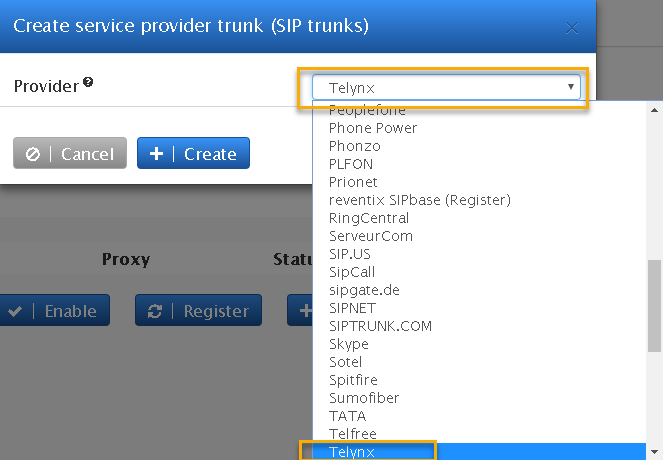 Navigate to your Telnyx trunk from your Vodia PBX system and scroll down to "Routing/Redirection" and choose "Send all to the destination request URL"